Alameda County has two recycling ordinances that are mandatory. The first is a Mandatory Recycling Ordinance that requires recycling and composting service for certain businesses, institutions and multi-family buildings sufficient to handle the amount of recyclables and organics (food scraps and food-soiled paper) they produce. The other is the Plant Debris Landfill Ban Ordinance. It applies to certain businesses and institutions and requires plant debris be separated and composted. The purpose of these ordinances is to reduce the amount of easily recyclable and compostable materials deposited in landfills from businesses, institutions, multi-family properties and self-haulers. The ordinances are designed to help Alameda County reach the long-term goal of reducing waste by ensuring that recyclables and compostables make up less than 10 percent of material sent to landfill by 2020. Alameda County Waste Management Authority (ACWMA) Mandatory Recycling Ordinance 2012-01 (available for download here) requires businesses, institutions and multi-family properties with five or more units to sort their recyclables from their trash. Multi-family property owners as well as businesses and institutions that generate food waste, such as restaurants and grocery stores, must also sort compostables from their trash. These requirements are effective within participating areas of Alameda County. 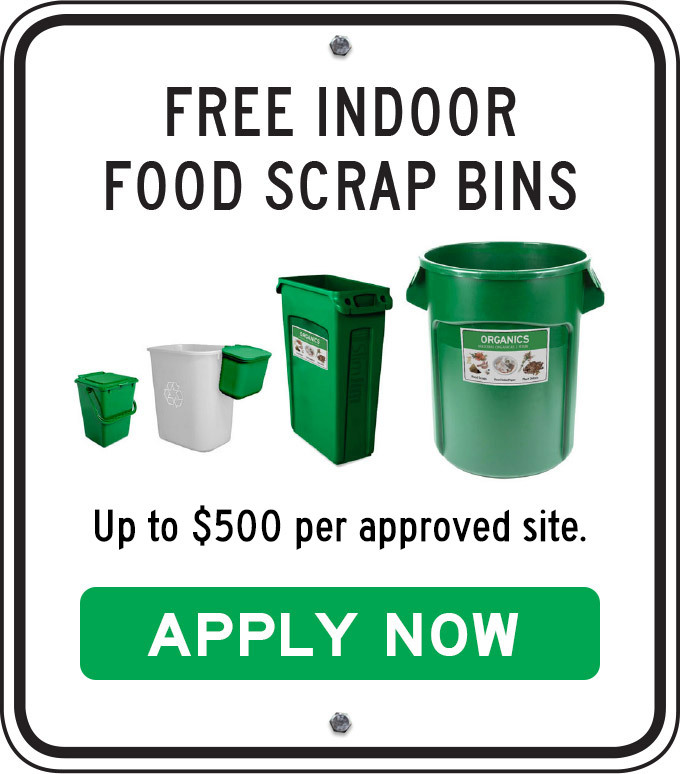 The ordinance requires the recycling service to be sufficient to handle the amount of recyclable material as well as the composting collection service to be sufficient to handle the amount of food scraps and food-soiled paper generated at the location. This includes cardboard, newspaper, white paper, mixed recyclable paper, recyclable glass food and beverage containers, metal (aluminum and steel) food and beverage containers, PET (#1) and HDPE (#2) plastic bottles, food scraps and compostable paper. For additional information specific to the affected sectors, see the Business & Institutions Overview and Multi-Family Overview pages. Keep up with the rules of recycling! Businesses and multi-family property owners affected by the ordinances are encouraged to sign up for Alameda County Waste Management Authority’s email list to receive important updates, news and resources related to the recycling laws as soon as they become available. Alameda County law prohibits disposal of plant debris in county landfills. ACWMA Plant Debris Landfill Ban Ordinance 2008-01 (available for download here) requires landscape professionals, residents and businesses to separate all plant debris from garbage. Those subscribing to 4 or more cubic yards of weekly on-site garbage service must place plant debris in the designated “organics” bin, and those who haul to their local facility must deposit plant debris in the disposal facility’s designated “clean green” area. Plant debris includes grass, leaves, shrubbery, vines and tree branches. Commercial and institutional (e.g. colleges, hospitals, park districts, golf courses) customers subscribing to 4 or more cubic yards of weekly solid waste collection service. The Plant Debris Landfill Ban Ordinance covers all cities and unincorporated areas in Alameda County.